When the seasons are changing, one foot is in the haze of summer while the other recalls the crunch of autumn leaves beneath its sole. Well, you weathered soul can have solace, while in transition. 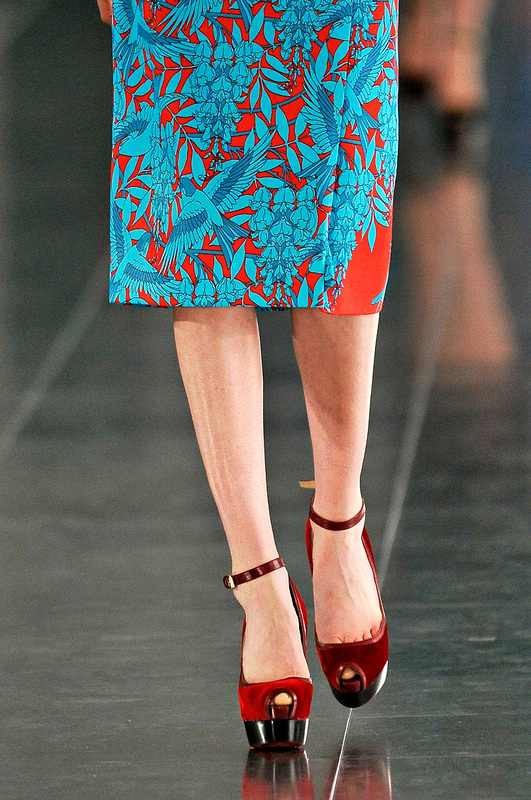 I thought these Jonathan Saunders skirts and velvet sandals were a perfect way to bid adieu to the warmth of summer and welcome the boldness that is Fall, 2011. The demure pencil skirt - perfect for the back to school mode that September brings. But September doesn't mean you have to go back to cool right away. Bold prints and deeper colours make for a perfect transition. Savour these last few days of September, my dears. It’s going to be a beautiful autumn. I can smell it in the air.